Limited on space? No need to worry! 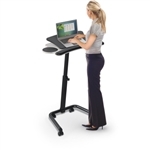 Office Furniture Deals offers best selling computer desks designed to work perfectly in smaller work environments. 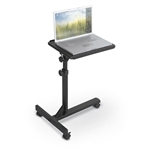 Our selection of small computer desks for sale online includes top rated models from brands like Mayline, OFM, Flash Furniture, and Cherryman Industries. All of the small computer desks for sale here include free shipping for added value. Need help selecting a small computer desk to fit your workspace? Contact our team of space planning experts today at 800-456-6746! Your Price: $219.99 *Quantity Discounts Available! Your Price: $332.99 + Free Shipping! Your Price: $157.99 + Free Shipping! Your Price: $272.99 *Quantity Discounts Available!